MCNETT ReviveX Spray-On Water Repellent, 10 oz. 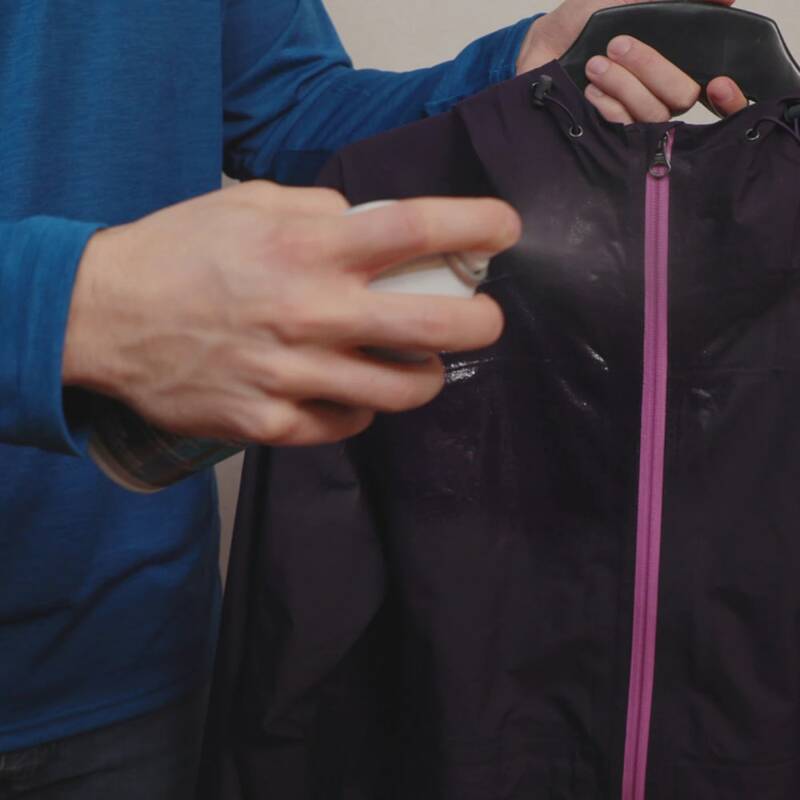 Make raingear shed water like new again with ReviveX Durable Water Repellent Spray. 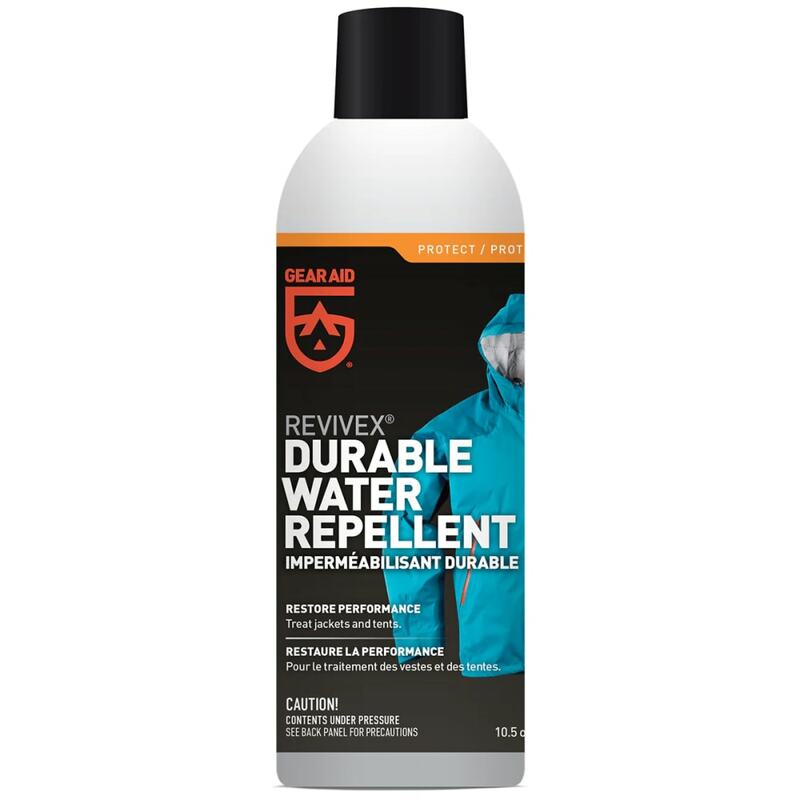 Their best-performing waterproofing spray, ReviveX Durable Water Repellent is a breathable DWR that repels water, oil, and stains. It?? ?s ideal for use on raingear, tents, and nylon jackets, pants, waders, and gloves. 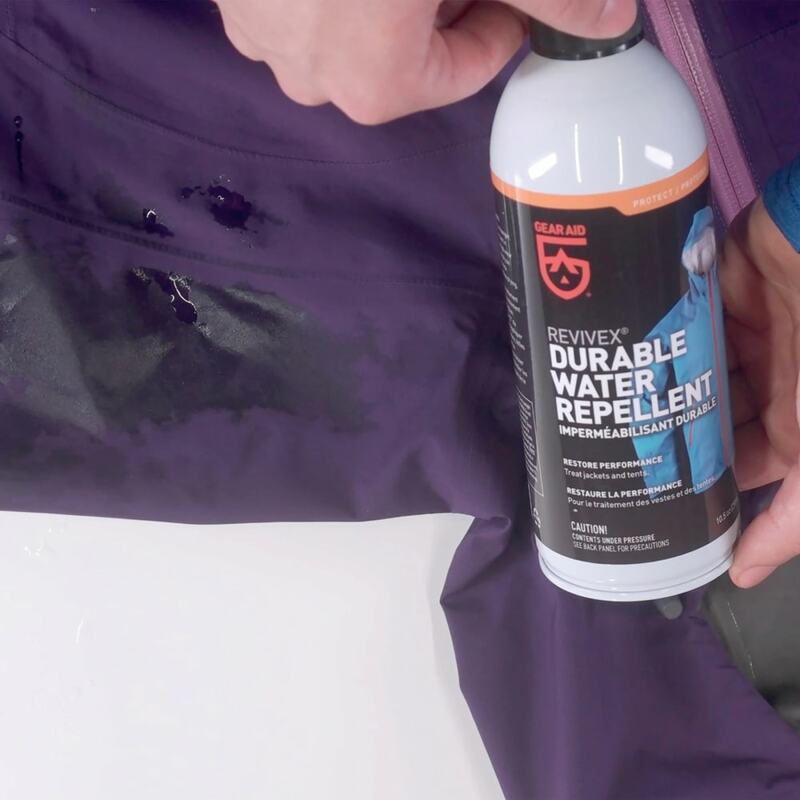 You can either restore the DWR treatment on waterproof breathable garments, like eVent, NeoShell, and GORE-TEX jackets, or add DWR to gear that isn?? ?t pre-treated, like down jackets. The continuous, air-powered sprayer dispenses every last drop in a wide, even application, and can even be sprayed upside down. Whether you?? ?re looking for jacket waterproofing or tent waterproofing, ReviveX provides the all-season performance you need.